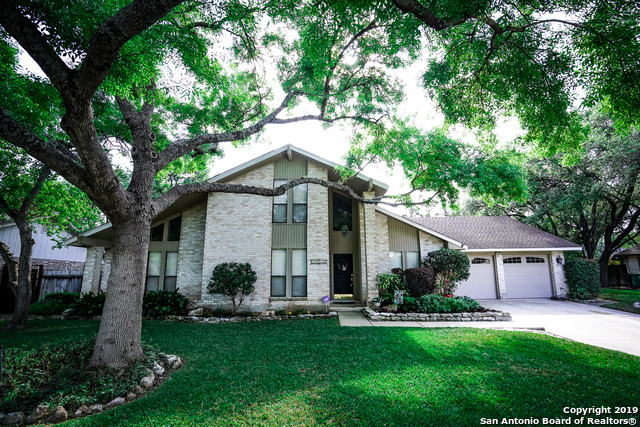 All SCATTERED OAKS homes currently listed for sale in San Antonio as of 04/22/2019 are shown below. You can change the search criteria at any time by pressing the 'Change Search' button below. "Immaculate single story home boasts an open floor plan, updated kitchen with granite countertops, double oven and ample cabinet space. The master bedroom has access to the outdoor covered patio and gorgeous custom bathroom. The loft can be used a media room, kids playroom or even a second office. Step outside and enjoy the secluded backyard oasis with pool, deck and covered patio. This home is perfect for entertaining and enjoying the beautiful Texas summer with your loved ones. Come make this h"